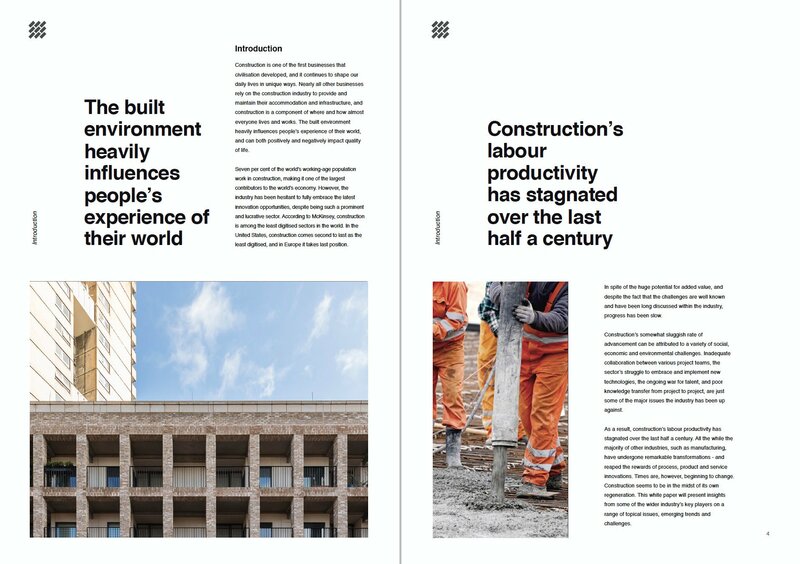 Extract/Introduction: ‘Construction is one of the first businesses that civilisation developed, and it continues to shape our daily lives in unique ways. Nearly all other businesses rely on the construction industry to provide and maintain their accommodation and infrastructure, and construction is a component of where and how almost everyone lives and works. The built environment heavily influences people’s experience of their world, and can both positively and negatively impact quality of life. Construction is a sector that impacts where and how we all live and work. While widely acknowledged to be a slow-progressing industry, it nonetheless continues to contribute significantly to the world’s economy. The challenges, although well known, are yet to be fully explained and ultimately resolved, however improved collaboration appears to be the key to unlocking the true potential. Both communication between project teams and knowledge transfer from project to project can aid industry professionals in the bid to overcome challenges, enhance efficiency, and ultimately increase productivity. By being forthcoming in a partnership approach to new projects, clients can reap the rewards of having teams that better align on overall plans, agreeing goals that help to defy industry norms. Technology and non-traditional means of interacting should be harnessed, as it is in other sectors, to really achieve the change that’s needed. By acknowledging the potential, and developing and using the systems and data on offer the speed of progression can increase, and further support UK plc.